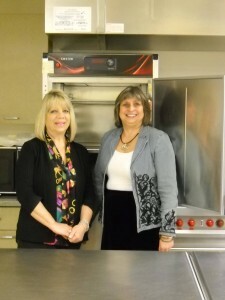 BROOKLINE, MA (2013) – Citizens in Brookline will continue to enjoy hot lunches, thanks to a $1,000 donation by Bank of Canton toward the purchase of a new warming oven and freezer. The Brookline Senior Center delivers more than 20,000 healthy, nutritious meals in the town each year. Increasingly more seniors depend upon the Brookline Senior Center to provide direct help – from food and nutrition to community and education, from hot meals to fuel assistance. The Town of Brookline funds only 75% of the Center’s annual budget, with the remainder coming from corporate and personal donations. Bank of Canton operates a branch at 166 Harvard Street, just south of Coolidge Corner. Where do you start a campaign? Nothing takes the place of champions. What’s better than believers who will advocate for you? Activists who put out a call for action to networks of friends and colleagues. And get an answer – an affirmative action. Our challenge is ageism. There’s always money for a teen center, as well there should be. When the museum needs a new wing, there’s a gala with impressive dollar totals. Theater needs renovating? A celebrity or two donates an appearance and money flows in. Same for the ballet and the symphony. Board members proudly outdo each other supporting the arts. Diseases carry caché. Jerry Lewis’s telethon raises millions in pledges. An unnatural disaster garners millions in donations. Politicians raise hundreds of thousands, richly rewarding donors. Foundations and corporations take pride in their charitable work. What’s missing? A commitment to the people who raised us; those who did without so we could become doctors and lawyers, teachers, scientists, accountants, authors, artists, inventors, bankers, entrepreneurs, nurses and business people. We mean the ones who paid for the BA, the MFA, the BS, PhD, MD and the MBA. They need you now more than ever. Taxis, food, classes and social services keep everyone connected. Invest in your future. . . and theirs. Brookline Senior Center is a 501 (C) 3 non-profit. Your gift is tax deductible to the full extent of the law. We are dedicated to enriching the lives of people over 60. The Town of Brookline does not discriminate on the basis of disability in admission, access or operation of its programs, services or activities.